The second-generation Intel XMM 7260 LTE-Advanced chipset is a Category 6 LTE device that succeeds last year’s XMM 7160 LTE Multicomms solution, adding flexible carrier aggregation capabilities up to 40MHz and more than 30 3GPP bands in a more compact, simplified package than its predecessor. The XMM 7260, emerging from technology gained with Intel’s 2010 acquisition of Infineon, will show up in smartphones and tablets “in every major LTE market” beginning in the second quarter, said Thomas Linder, senior director of Intel’s Mobile and Communications Group. “We expect this platform to get several announcements of design wins in spring 2014. With several new features, first and foremost, it brings carrier aggregation to the market for higher bandwidths and use of diverse spectrum to get better data rates,” Linder said. The XMM 7260 will be sold to mobile device makers as a standalone part capable of pairing with non-Intel application processor architectures such as ARM’s, but also pushed in modules packaging the modem with Intel’s upcoming, next-gen Atom chipsets for the mobile market. The new front-end solution is a single-chip multi-mode radio-frequency (RF) transceiver that can support up to 22 RF bands simultaneously in a single package, including LTE FDD/TDD, WCDMA/HSPA+, and TD-SCDMA/TD-HSPA/EDGE. Like the XMM 7160, the XMM 7260 supports Voice-over-LTE (VoLTE). 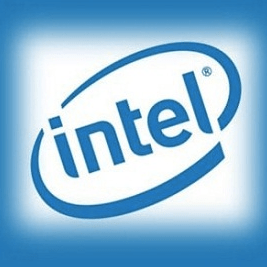 Intel is touting the new RF chip’s “reduced complexity and number of components” as an appeal to mobile device makers looking to get more bang from front-end solutions while reducing their footprint and power draw. The Atom Z34 and Z35 lines share a lot of the same specs, though the Z34 platform features a dual-core CPU and the Z35 platform uses a quad-core part. Both SoCs include a low-power sensor solution for natural interface applications including voice, motion and gesture, location sensing, and contextual analyses, according to Pierre Herve, director of product planning for Intel’s Mobile and Communications Group. The two next-gen Atom chips are being produced with Intel’s 22-nanometer process and they’re built on Intel’s new 64-bit “Silvermont” CPU microarchitecture with out-of-order execution. Graphics are handled by Imagination’s Power VR Series 6 graphics engine using a quad-cluster 3D graphics architecture with media compute capabilities, and also manufactured with the 22nm process, Herve said.